You know a company is going to provide great customer service when you learn that one of its founders didn’t even stop working while she was in labor, but that’s exactly what happened with Laura Bennett, one of the two founders of Embrace Pet Insurance, the other being Alex Krooglik. The two met during their MBA programs and started Embrace following graduation with the desire to create a pet insurance company dedicated to superb customer service. They not only care for the dogs and cats they insure, but for the owners as well, since they understand the strain a pet’s illness or injury can have on a loving owner; it’s not only emotionally tough to watch your four-legged friend be in pain or discomfort, but it’s also mentally draining if you’re simultaneously trying to figure out where you can get extra funding from to pay unexpected vet bills. This is the worry Bennett and Krooglik wanted to eliminate by helping pet parents get the monetary assistance they need when they truly need it with no games, hidden fees, or insurance nightmare loopholes. They dedicated themselves to their customers so much that they created a Customer Bill of Rights with their top 8 priority promises to clients, such as “You have the right to complain and be heard,” and “You have the right to know what you are buying.” It’s not everyday you find that kind of transparency with an insurance company, but Embrace wants to ensure customers always know they are the top priority. 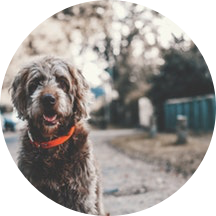 Embrace made sure to create policies pet owners would actually want because it would cover all the essentials, plus the extras you might not consider on your own or that other providers don’t cover, such as exam fees and allergy testing. Their standard policies also cover lab tests, biopsies, MRIs and xrays, laparoscopies, acupuncture, laser surgery, and physical therapy; this is all in addition to the common needs, such as surgery, hospitalizations, hereditary and chronic conditions, accidents, dental trauma, cancer treatment, and cremation. Embrace also feels strongly about preventing animal cruelty, so they are strict on excluding harmful procedures, unethical treatments, and deliberate injuries. Embrace knows that policy variation is a necessity for customer satisfaction so anyone can create the policy that is most effective and affordable to them. They offer an annual deductible range from $200 - $1,000 and a reimbursement range from 70% - 90%. They offer policy limits from $5,000 up to $15,000, and unlimited lifetime limits up to the policy limit per year. They also offer a Wellness allowance each year. How much will I get back from Embrace? Your dog needs back surgery due to a ruptured disk, and then needs physical therapy after to get him back to normal. The cost of the surgery, therapy, and post-op medication will total $12,460. After your $200 deductible and a 90% reimbursement rate, you will get back $11,014. Your mischievous pup got into the bathroom trash while you were away at work. You come home to see some remnants on the floor and take him to the vet. An x-ray shows he has swallowed hairpins, Q-Tips, rubber bands, and plastic, and will need surgery to treat it. The total for the x-ray and surgery will cost $4,890. Following your $200 deductible and 80% reimbursement, you will get back $3,712. Your 11 year old cat is diagnosed with cancer after a tumour is found near her kidney. The vet is hopeful of recovery since it was found early, but surgery to remove the tumor, plus a round of chemotherapy are still needed. After all is said and done, the total bill comes to $14,270. Following your $300 deductible and a 90% reimbursement, you will get back $12,543. How much does Embrace insurance cost? What do pet owners say about Embrace? In terms of reviews, customers love the high level of customer service they get with an Embrace policy. With an average review score of 4.8/5, see reviews from Embrace customers below. 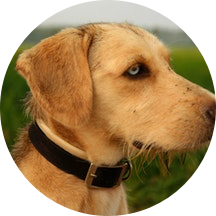 I always try to chose the best for my furry babies, and picking insurance is no different. I knew it would be an investment so I wanted to make sure I found the right company that had heart and soul and not just a bottom-line. It means so much to me when I call in to embrace and they care about what’s happening with one of me pets. Isn’t that what ALL pet mamas and papas want??! Pick embrace and you wont be disappointed. They care, they work quickly, and they make me and my 3 babies (soon to be a 4th that I’ll sign up with Embrace! ;) feel like we have someone backing us up. What a great company. I would never get insurance anywhere else. They took two months on my claim! They took two months to respond! Really disappointed. So glad I got Embrace. I decided to get insurance a year after I rescued my dog. I had taken her in for a routine check-up and my vet recommended that it might be worth investing in some type of insurance. I looked at a few different sites and landed on EMBRACE because of the wellness option. It’s already come in useful for two visits and then one claim outside of the wellness option that would have cost $600 if I didn’t have the insurance. Definitely worth it. 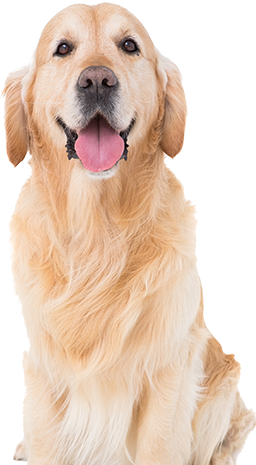 When it comes to finding a quality pet insurance company, you don’t need to look any further than Embrace. They clearly put their customers first and want to help pets and pet owners any way they can. 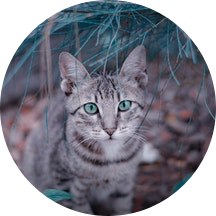 We also love that they don’t require networks, but instead let you visit any vet you want, and they also offer 5% discounts for payments made directly from a bank account. 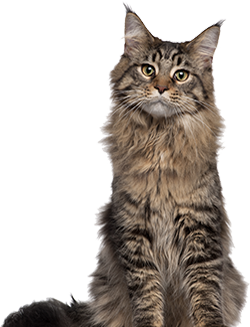 We at Pet Insurer love animals, and think it is wonderful that Embrace cares for our furry friends just as much as we do. You won’t be disappointed with an Embrace policy.